How do I use multiple Invoice Templates? 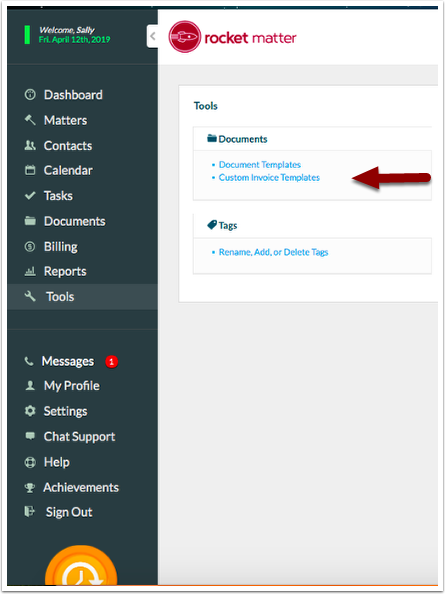 Rocket Matter Knowledge Base Invoice TemplatesInvoice Templates: How do I change my default Invoice Template? 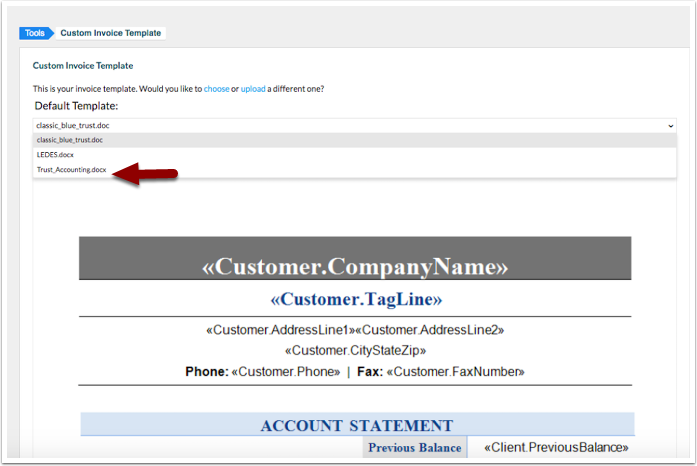 You can change your default Invoice Template to any Invoice Template stored in your "Custom Invoice Template" section. 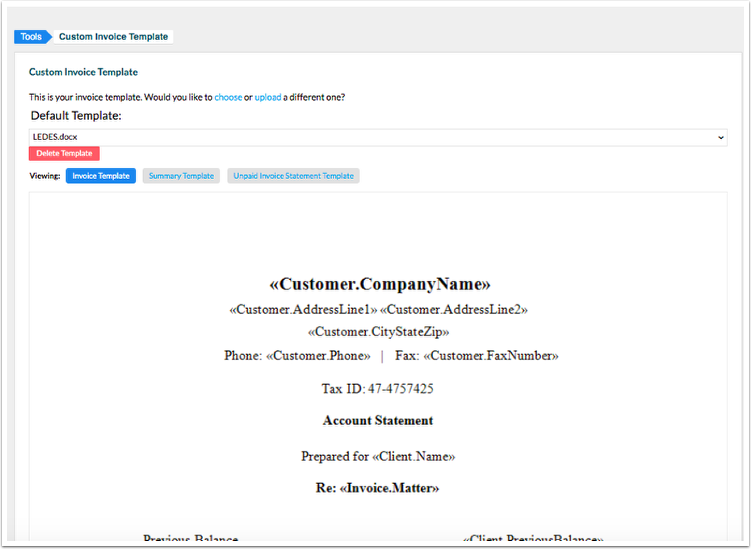 Rocket Matter can store multiple invoice templates. 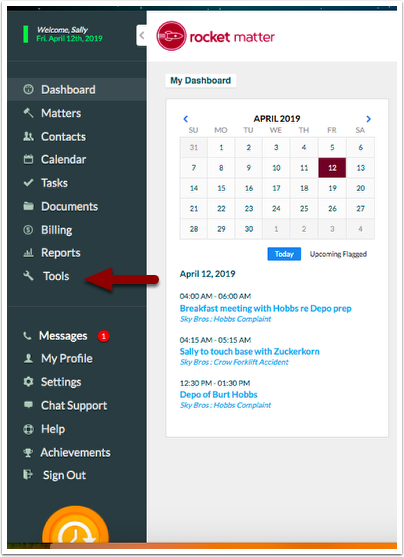 If your system does not already house the Invoice Template that you want to apply as default, create another Invoice Template, and upload it to your Rocket Matter system. 1. Click on 'Tools' in your navigational panel. 2. 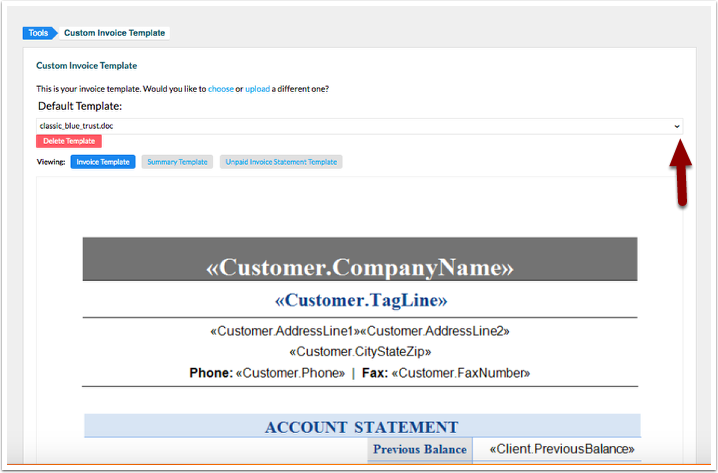 Select "Custom Invoice Template". 3. Select the Default Template drop-down menu. 4. Select your desired template. 5. Your default template will be displayed. Invoice Templates can now be set up on a Matter by Matter basis! Prev: Invoice Template: How do I choose one of Rocket Matter's 6 pre-formatted Invoice Templates? Next: Invoice Template: How do I delete an Invoice Template?